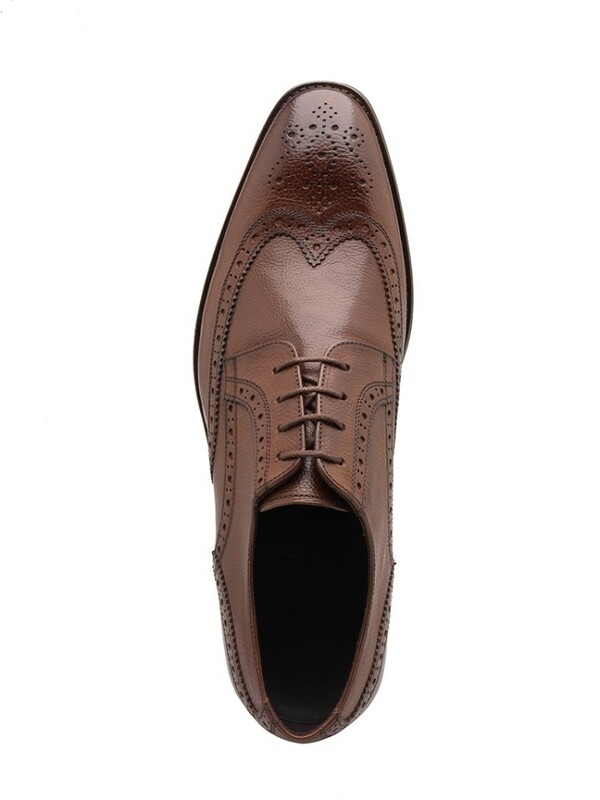 This statement time-honoured Brogue shoe features a sturdy rubber sole and has been cut from a rich brow grain leather. 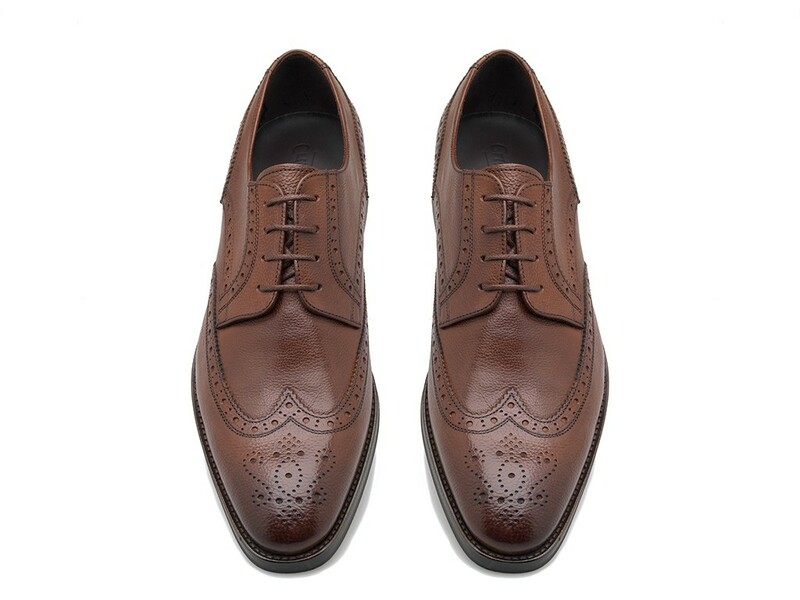 The elaborate punching detail, ornate decorations and wingtip toe, are all details that bespeak its recherché soul. This classic four-laced Derby delivers logevity, reliability and comfort.